Hannah is originally from Norfolk, but moved to Devon in 2006. She joined Okeford Vets in 2010 as a student nurse and qualified from Bicton College in 2014 with a diploma in veterinary nursing. Hannah enjoys all aspects of nursing but has a particular interest in radiography, emergency nursing and carrying out minor surgical procedures such as suturing wounds. A lot of her time outside work is spent with her yellow Labrador puppy, Moose. Hannah also enjoys riding and exploring Dartmoor, particularly on Clydesdales! Sarah joined the practice in 1985 and qualified as a veterinary nurse from Bicton College in 1996. She is currently our deputy head nurse, and has a keen interest in critical care medicine for small animals. Jade joined Okeford in September 2016. She trained as a student veterinary nurse in Cornwall and qualified as an RVN in November 2015. Jade loves all aspects of the job but has a special interest in emergency and critical care, inpatient care and nurse clinics - one of her favourite being weight clinics. After work most of her time is taken up with her two lovely dogs, Riley, a Poodle cross Lhasa Apso and Nellie, a Poodle cross Tibetan Terrier. She loves to go walking with them, getting muddy and going swimming in the river, especially with friends both doggy and human. Ciara started and qualified at Okeford in 2010. In her time here she has formed great friendships with her colleagues and the wonderful clients that she has met. Ciara enjoys nurse clinics as it gives her the opportunity to closely interact with owners and their lovely animals, however her real passion is dermatology. She loves helping Kirstin with referrals and the laboratory is her domain. In her spare time Ciara loves nothing better than taking her dog and toddler for an adventure in the woods. 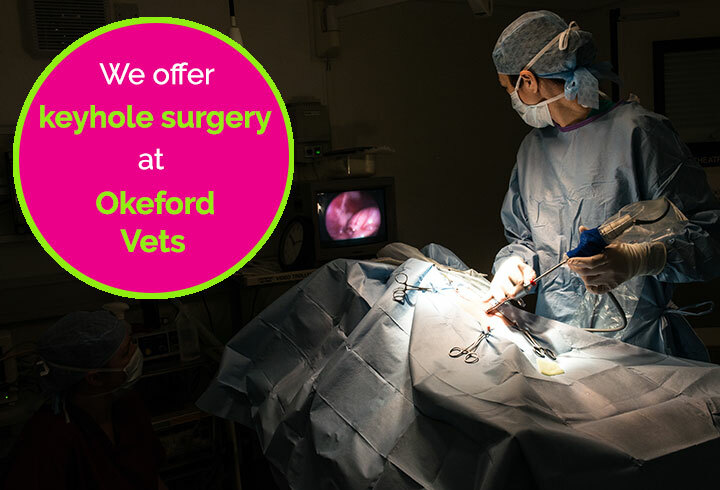 Jo moved to Devon from Hampshire, which is when she joined our practice here at Okeford Vets. She qualified in 2006 and enjoys all aspects of veterinary work. She has a keen interest in medical nursing and is currently working on a medical course. In her spare time Jo and her family enjoy exploring Devon and Cornwall in their caravan. Gemma started with us in 2008 after qualifying as a veterinary nurse from the Royal Veterinary College, London in 2002. She has a special interest in surgical nursing. Emily joined us for work experience in 2013, before joining us permanently working as a Saturday assistant for many years. She then progressed to become one of our full-time patient care assistants. Emily has since begun her training as a Student Veterinary Nurse in September 2018. After living in Switzerland for nine months, Pippy joined Okeford in August 2015. She has always wanted to work with animals with a special interest in canines and the equine world. Pippy previously worked at a stables for four years and then as an au pair in the Swiss alps. At Okeford she is in charge of the Facebook page which she loves doing, mainly because she gets sent all the cute photos of our patients! Pippy is interested in becoming a veterinary nurse so is always keen to be as hands on as possible. Outside work her time is spent with her puppy, Moose. He is a yellow Labrador and the best dog ever. During the winter months Pippy loans a couple of Clydesdale horses and enjoys spending evenings and weekends riding around with them. Kerri joined Okeford Vets in January 2013; she has always had a keen interest in animals, mainly canines, and since working within the practice has learnt so much about the in’s and outs of patient care. Kerri enjoys interacting with all of the patients and their owners and has built up lasting relationships with the clients and their pets. Her favourite part of practice is working in the dispensary, learning all about the medications and assisting the vets with blood samples, animal handling and patient care. Kerri is currently completing an AQA animal care assistant certificate which she hopes to complete by spring 2019. In her spare time, Kerri enjoys walking her Golden Retriever named Rileyboy and napping with her cat named Sweepi, who was a rescue from cats protection. She also enjoys socialising with friends and family as well as losing herself in a good TV series.